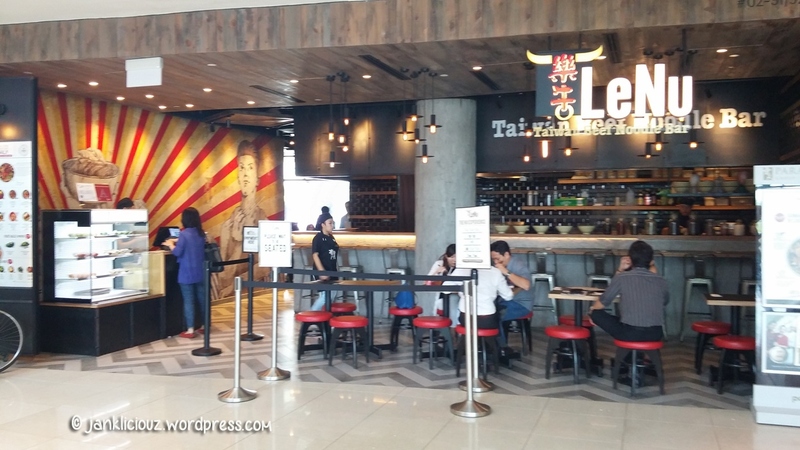 Lenu (樂牛) is a restaurant opened by the Paradise Group, and I'm here to review it! 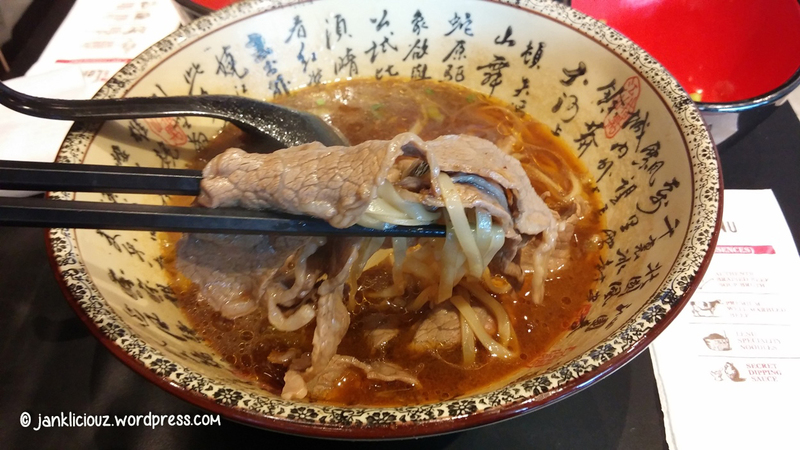 With high expectations after some good meals at other Paradise Group Restaurants, I was hoping to get a real taste of Taiwan Beef Noodle Soup. 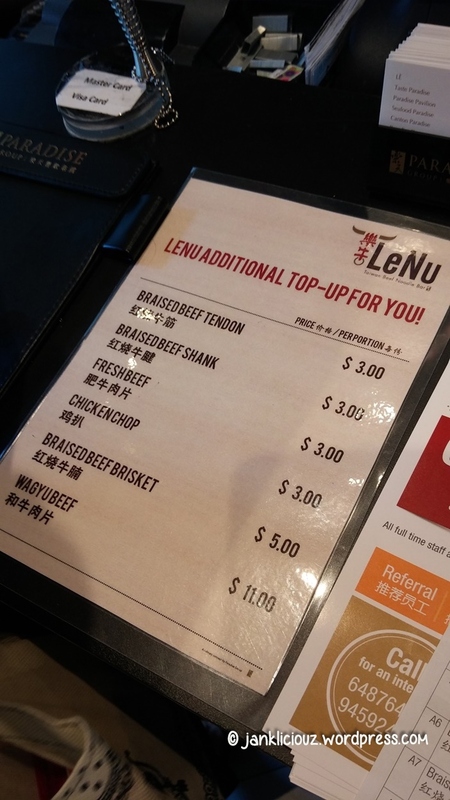 LeNu literally means 'Happy Cow' in Mandarin. It's cute, I guess. Haha. We were shown to our seats and a menu was given to us, as well as an order form. I have to say that I'm not too fond of filling up order forms, so with my order in mind, I went straight to the counter, which is what you'll have to do anyway after filling up the form. Top ups are available at a costly price, which I didn't take up! 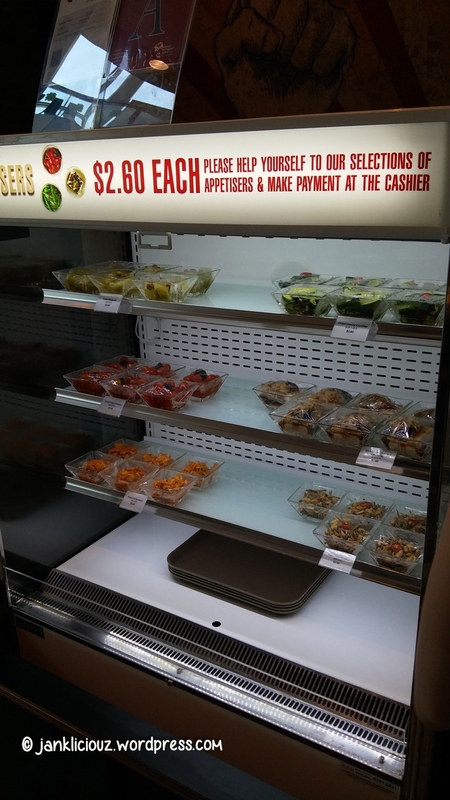 Right beside the counter, some appetizers are on display and customers would just need to select what they want and pay for it at the counter. 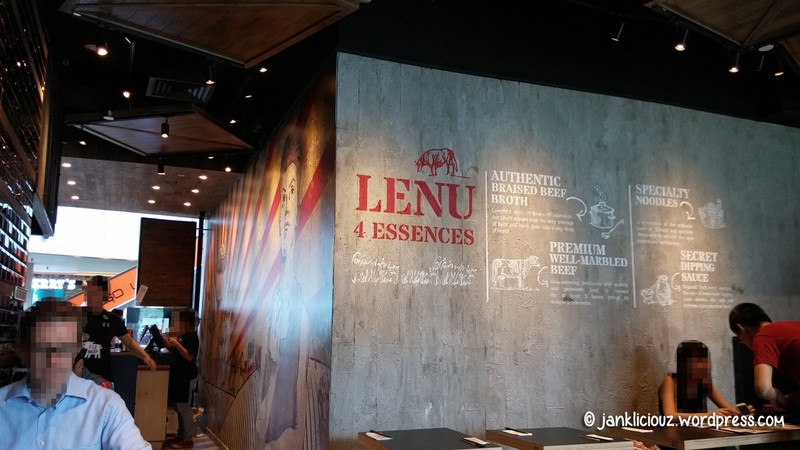 The 4 Essences (winning formula) for Lenu are shown on the walls. 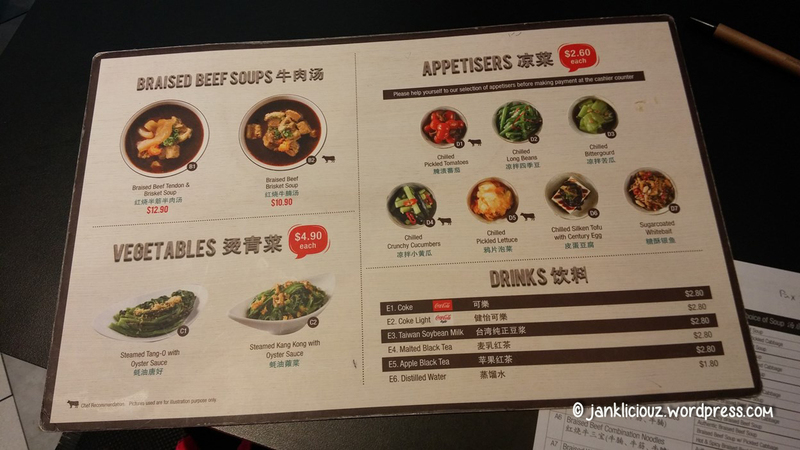 My friend ordered the dry version of the Braised Beef Brisket Noodles ($10.90) and I ordered the Braised Wagyu Beef Noodles ($16.90). 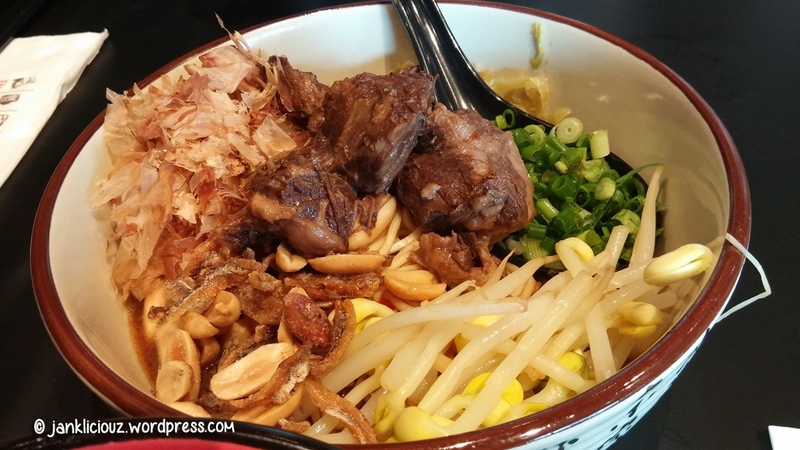 After mixing the noodles, you are ready to start! 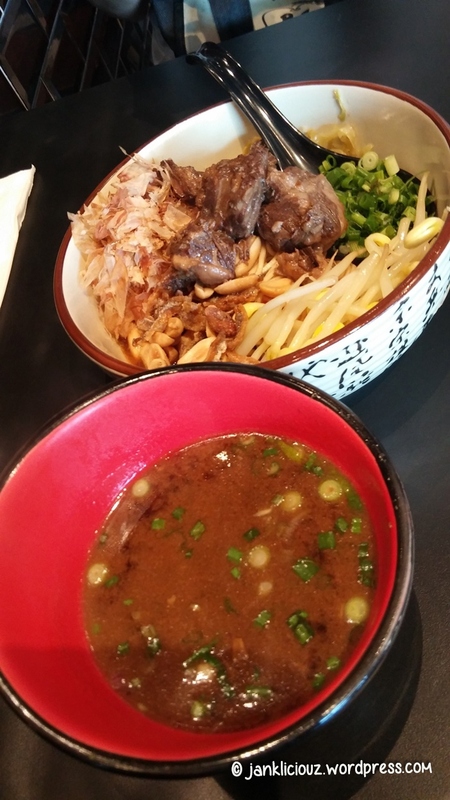 The noodles tasted so-so, but the beef is really tender. In my opinion, I felt the noodles could be more springy, it felt like it was neither here nor there. The dry noodles version are nice! 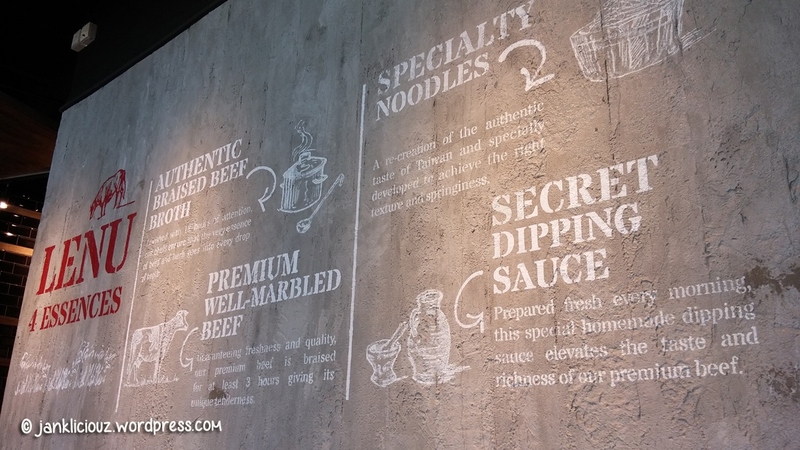 There are 3 types of noodles available for choosing: Thin Noodles, Broad Noodles and Rice Noodles (exclusive to Singapore only). Of course, I would try the rice noodles. 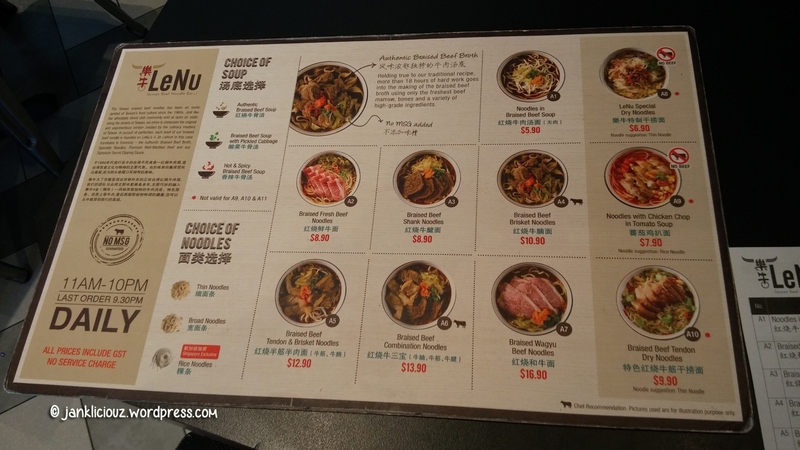 It turned out to be the really thin kway teow type noodles, but I did enjoy it as the noodles were quite well cooked. I felt the wagyu beef was quite an expensive addition though. While the thinly sliced beef were easy to eat, but I felt I would have enjoyed it as much as if I were to have the normal beef slices. 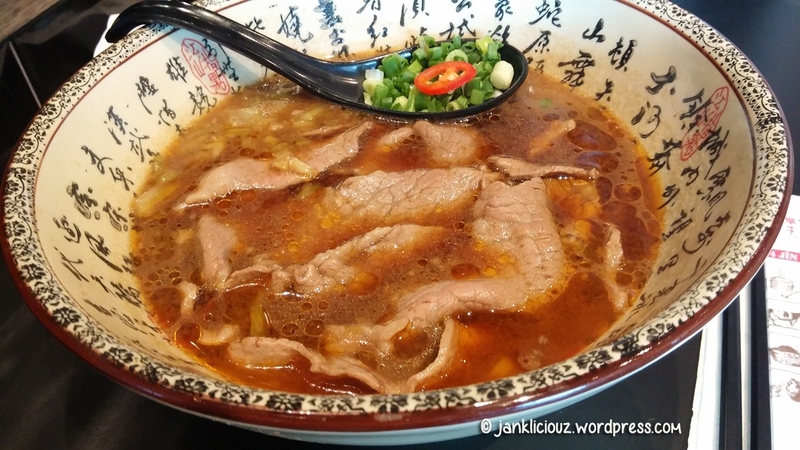 In summary, I felt that although it was a comforting warm meal, but the taste lacks punch to make it stand out from other soupy meals competitors. Visit their Facebook and Website to find out more.